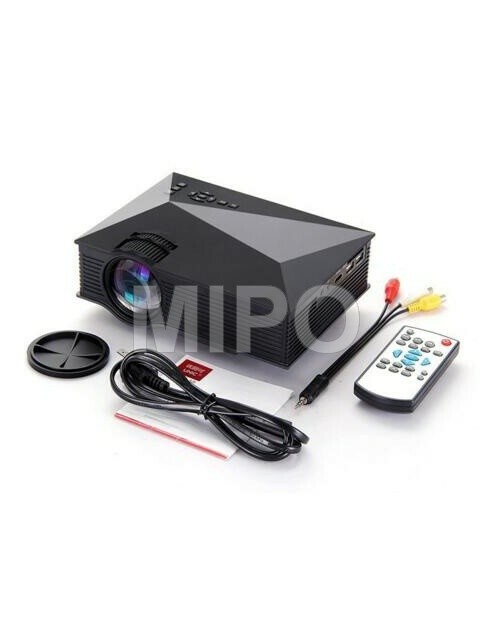 This high definition portable Mini LED Projector UC-46 is specially designed for Home theater, Business conference, Entertainment, Education training, etc. Its physical resolution is up to 800 x 480 and maximum resolution is up to Full HD 1920 x 1080. 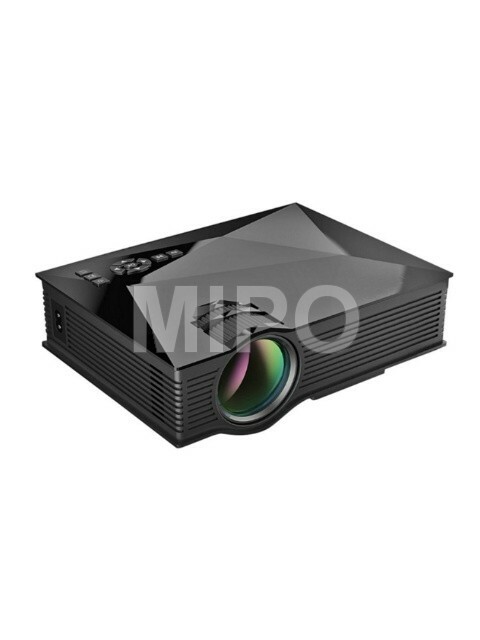 It is characterized by its 800:1 contrast ratio, which supports a variety of Video, Pictures and Music formats, its 1200 lumens for even clearer and brighter images. - 1200 lumens for clear and bright images. 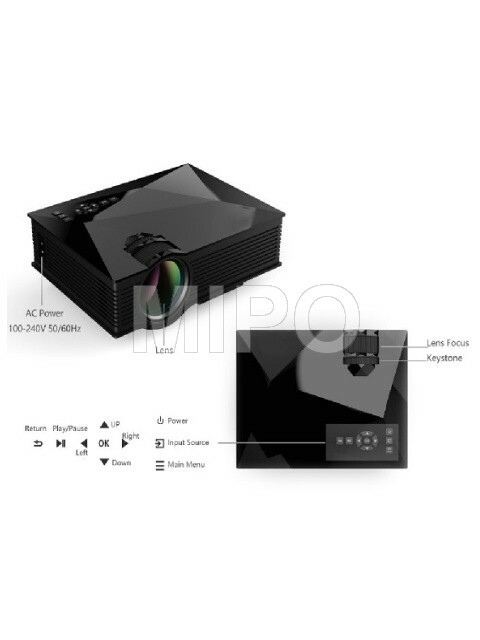 - Maximum Resolution: 1080p for display size of 34 - 130 inches within 1 - 3m. - Directly play office word, excel, PPT, PDF, etc. - Dual-USB interface, support USB keyboard, mouse, etc. - With remote controller, convenient for you to use. - Applications: Home theater, Business conference, Entertainment, School training and so on. - Native resolution: Up to 800 x 480 Pixels (RGB). - Support Resolution: Up to 1920 x 1080 Pixels. - LED Lamp Using Life: More than 20000 hours (at least ten times longer than a traditional Lamp Projector). - File: Office word, excel, PPT, PDF, etc. - I/O(Input/Output): 1 x AV (3.5mm AV Output), 1 x Earphone port (3.5mm), 2 x USB 2.0, 1 x HDMI, 1 x VGA, 1 x DC in.